The well informed modern-day globetrotter can ‘trot’ his/her way around a fair share of fascinating historical monuments, ranging from the mountain nestled Machu Picchu, the grandly paradisiacal Versailles to the sublimely symmetrical Taj Mahal. 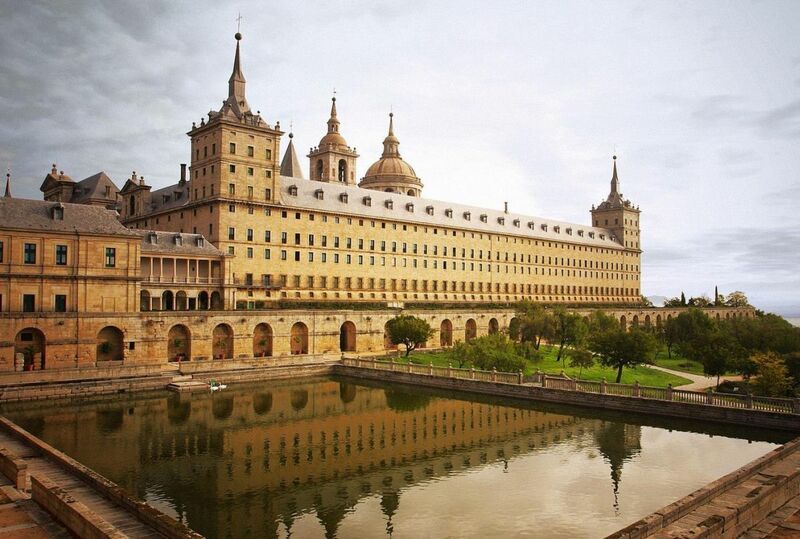 But this ‘eighth wonder’ in the heartland of Spain has baffled and inspired architects, travelers and aficionados alike for over four centuries. 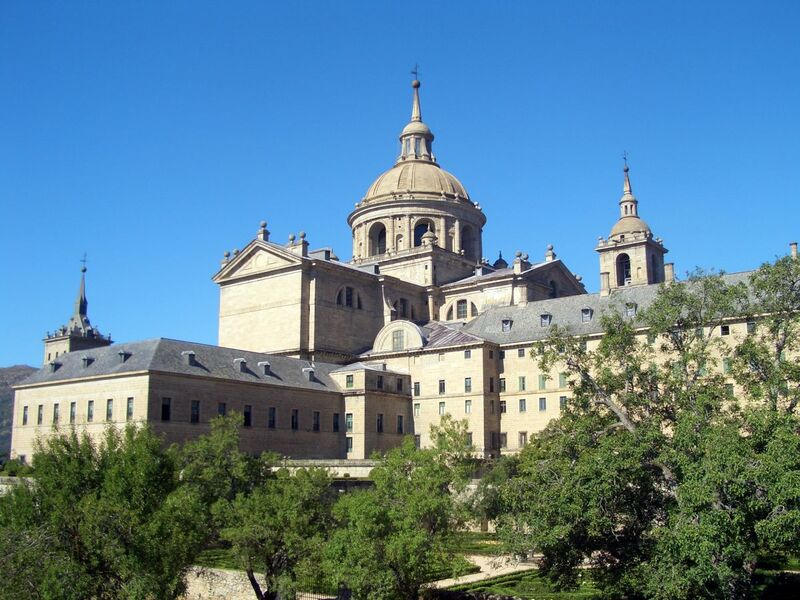 We are talking about the Royal Site of San Lorenzo de El Escorial (or just El Escorial) – a palatial yet paradoxical achievement of the late middle ages (built between 1563 to 1584) that wondrously bridges the gap between monastic austerity and royal opulence. 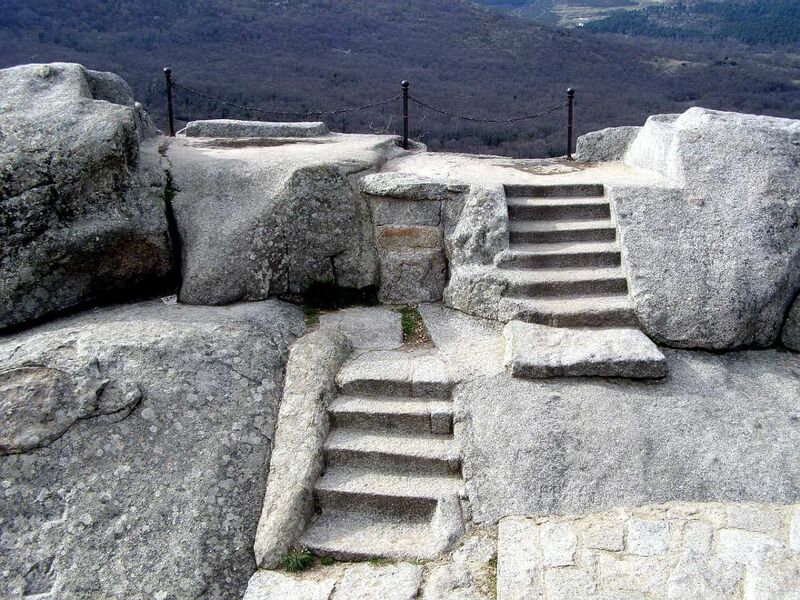 Located around 45 km northwest of Madrid, El Escorial exhibits an imposing rectangular compound constructed in a symbolic grid pattern, with its outer walls measuring a massive 680 ft (207 m) by 530 ft (153 m). To that end, the humongous palace boasts of a jaw-dropping 360,400 sq ft (32,000 sq m or around 8 acres) area in plan. 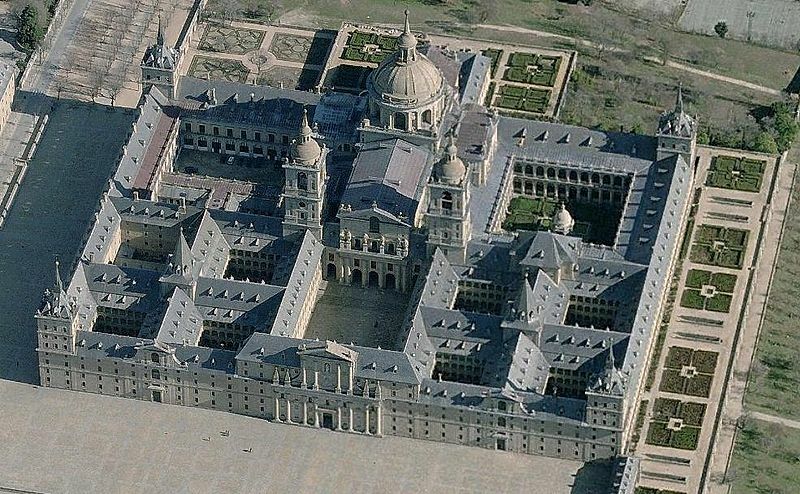 The very first thing one would notice about El Escorial is its essence of uniformity. This ‘severe’ display of austerity was in fact an intentional ploy from the builders. Why so? Because the huge palace complex/royal residence is also a monastery! 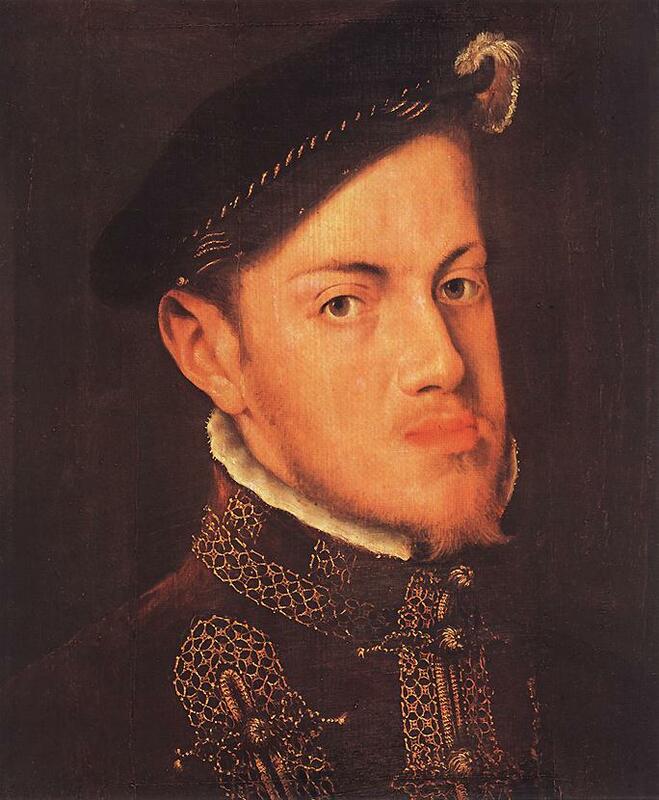 Philip II, a devout Catholic and King of Spain (after whom Philippines is named), took an active interest in the huge construction project – as an arduous task to stem the tide of Protestantism. In allusion to Philip II’s involvement in the grand endeavor, the king even chose a strategic vantage point from which he could watch the building’s progress. 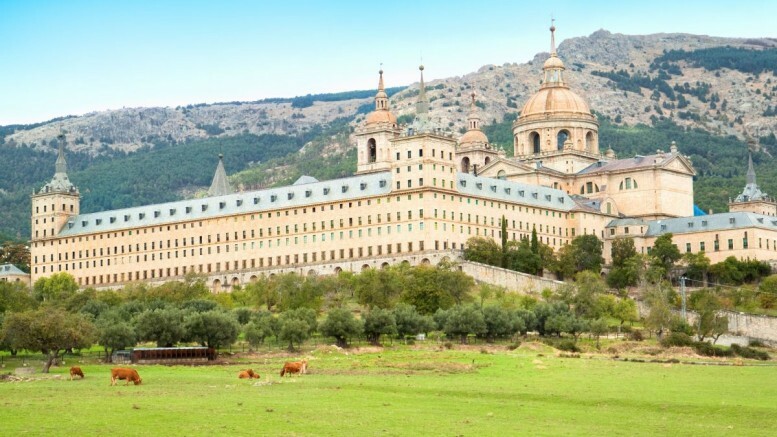 This special hill-top perched place is known as Philip’s Seat (Silla de Felipe), and unsurprisingly provides a magnificent view of the palace-monastery. The ‘accidental’ impetus to the grand project came after Philip II secured an important victory over the French at St. Quentin in Flanders, in August 10th, 1557. This date held special significance as being the feast day of San Lorenzo (or St. Lawrence). And yet during the battle, the martyr saint’s church was badly damaged by the fighting. Many historians believe the destruction was brought on by shelling from the Spanish side. To show his repentance in a grandiose manner, the Spanish monarch ordered the construction of the expiatory monastery. 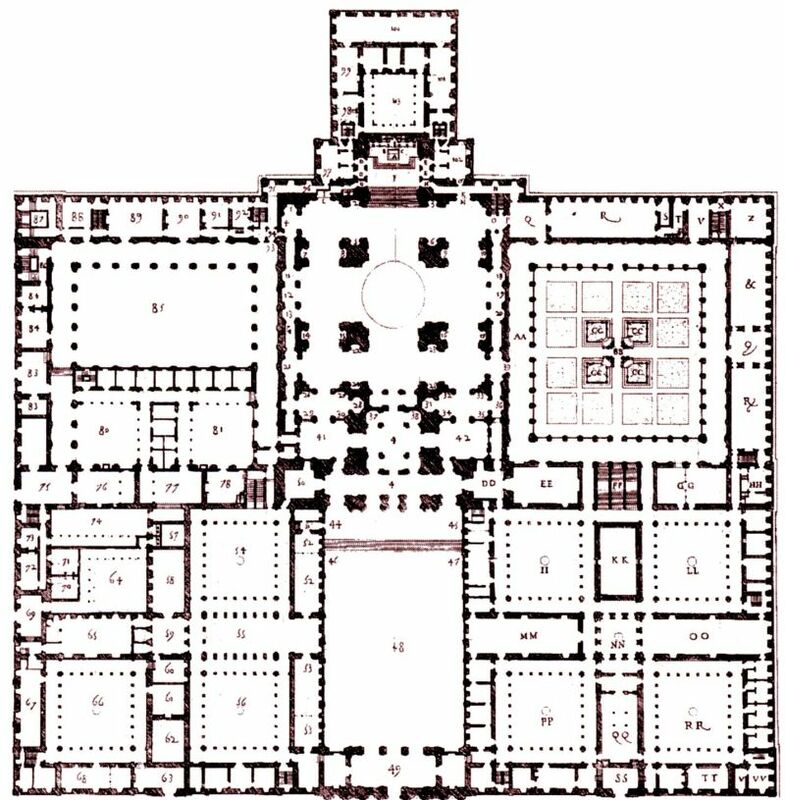 As we mentioned before, the plan of El Escorial is in a grid pattern that pertains to an inverted griddle. There is a symbolic side to this whole affair, as the gridiron was used as the dreadful instrument of torture when St. Lawrence was martyred (according to a well-known legend, he was slowly roasted!). 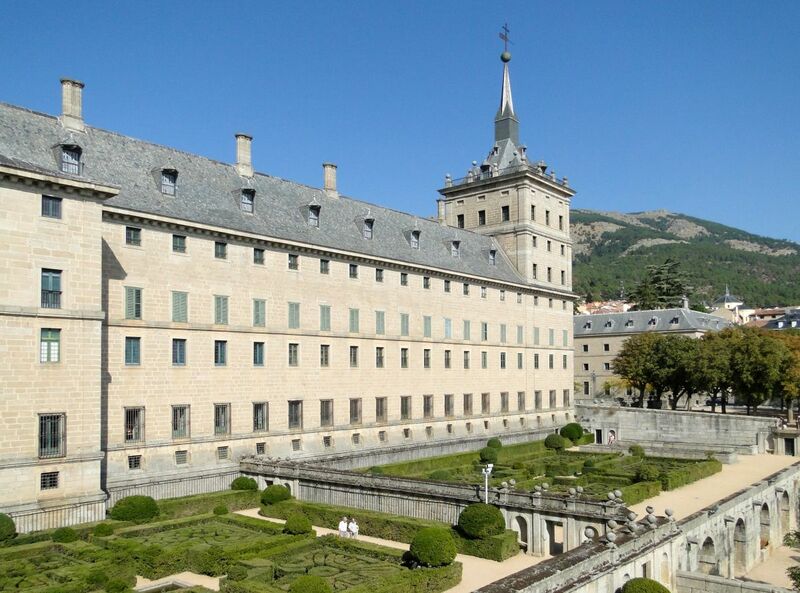 Worthy of the El Escorial’s imposing form, the monumental undertaking was actually designed by two successive chief architects – Juan Bautista de Toledo and Juan de Herrera. Quite interestingly, Toledo had previous experience in renovating the great St. Peter’s in the Vatican – and some of the basilica’s design components were replicated inside this palace-monastery. However, the outer facades solemnly maintained their ambit of order and austerity. This scope of formal assembly and regularity has piqued the curiosity of many to try their luck to precisely count the innumerable yet similarly styled doors and windows of the building. Still no one has been successful in that endeavor, with the estimated doors going over the figure of 1,200, windows going over 2,500 and the corridors running up to 10 miles (16 km) inside the palace!